Red2120's Club Penguin Cheats, Secrets, And Give Aways! 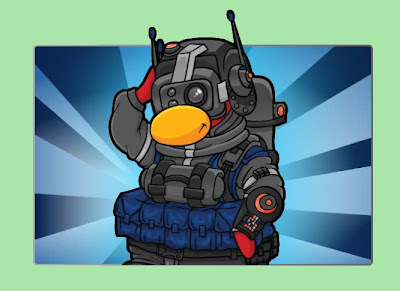 : Elite Penguin Force Classes Coming Soon! Elite Penguin Force Classes Coming Soon! Please note: this message is classified. Those who are not agents of the Elite Penguin Force should probably stop reading. Elite Agents - today I've got an update for you. This week, a new EPF 'class' is being launched. What's a class? It's a special kind of job that an agent can unlock. Remember - you can trade in badges for Elite Gear in your phone. So what do you think is in store? Let us know in the comments, and keep watch for anything unusual. Thanks Billybob for the update! I'm super excited for the classes! That would be cool if someday we could meet Herbert walking around Clubpenguin!